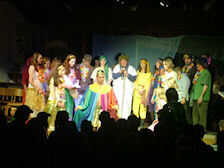 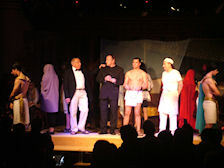 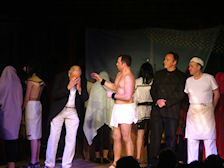 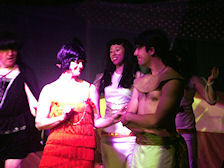 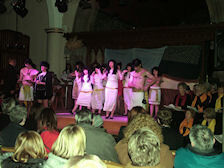 Our 'Joseph' production was held on the weekend of 29/30 January in St Laurence Church. 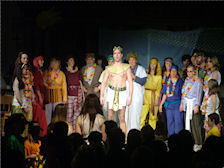 The production was arranged and produced by Amanda and Darren Oliver and brought together with the congregation of St Laurence Church and the wider community. 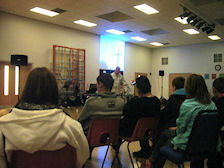 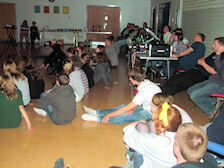 At the end of each performance a collection was made for the Haiti Earthquake Appeal and this totalled £714.60. 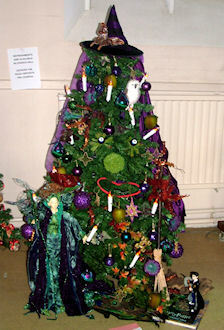 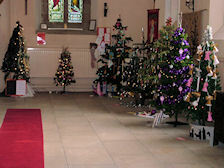 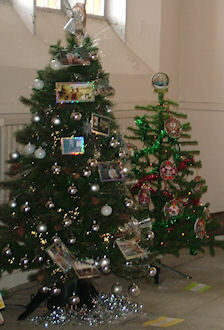 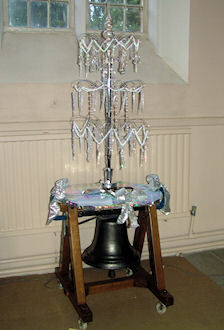 Our annual Christmas Tree Festival was held on the weekend of 12/13 December 2009 between 12.00 noon and 6.00pm each day. 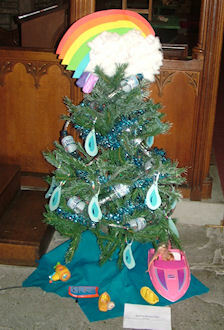 Thank you to everybody who submitted an entry. 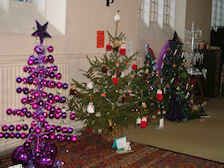 All the trees looked wonderful in the setting of the Church. 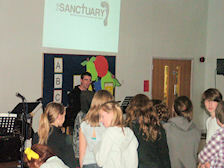 Sanctuary was a Bidford Churches Together youth event - an informal service aimed at our young people aged from 12 to 18 years, held at Bidford Primary School on Saturday 17 October. 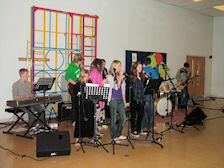 Live music was performed by a joint band of young people from St. Laurence's and Bidford Baptist Church. 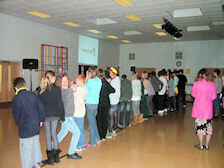 Drink and biscuits were provided to give plenty of opportunity to talk and find out more about Christ's love for each and everyone of us. 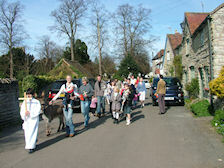 The Annual Sponsored Walk took place on Saturday 5 September, starting at 10.00 am from the Church. 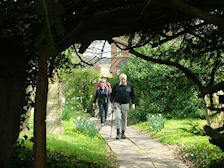 It was a walk of some eight and a half miles, which took us out towards Barton and then over towards Dorsington. 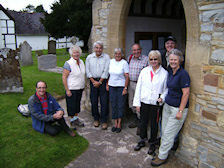 From there we walked to Welford on Avon and finally back to Bidford along the Avon Way. 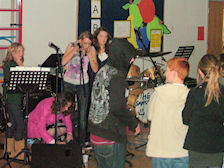 All sponsor monies raised were for the upkeep of our Church. 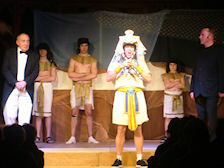 The pictures below were taken by Sandra Parker. 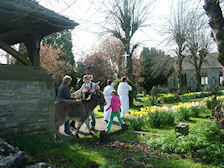 Breaking slightly with tradition, for the first time our Palm Sunday walk was led by a donkey! 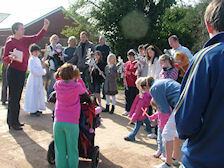 We met in the church hall and after a short prayer and blessing of the palms we processed across the road to the church singing 'All Glory Laud and Honour' as we went. 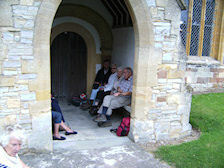 After reaching the church door the Junior Church then continued the walk processing to the top of Grange Road were they held a short service of prayer and readings. 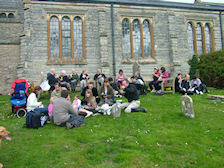 We had an excellent morning raising around £400 for Church Funds despite the weather being very changeable and wet. 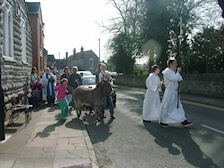 The spring market should have been held on the church drive but because of heavy down pours of rain the decision was taken early on to have the market in the church hall. 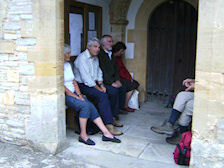 The damp weather meant that numbers visiting the market were lower than usual but none the less everyone had an enjoyable morning.